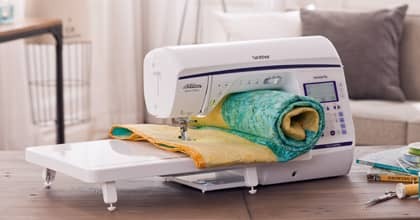 With the Innov-is NQ1300PRW, sewers will take garment construction to new heights with 290 built-in sewing stitches and the My Custom Stitch™ feature, which allows you to create personalized stitches. 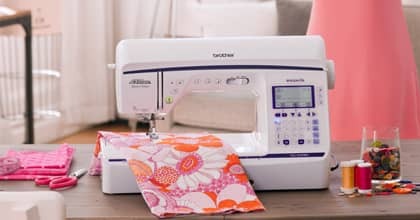 Whether you're sewing silk or denim, the Automatic Height Adjuster™ (AHA®) feature will help deliver smooth, even stitches every time. 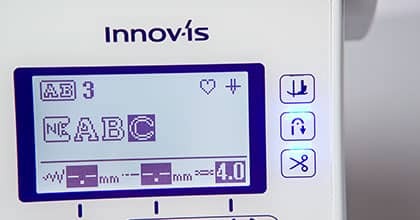 Feel inspired to tackle projects you never thought possible with the Innov-is NQ1300PRW, part of the Q-Series lineup. Please call us for more information and pricing..